Are Your Friends & Family Questioning Your Holistic Lifestyle? One of the biggest obstacles new clients face is gaining acceptance from their friends and family about their decision to take a natural approach to heal their body through supplements and other alternative modalities. Using supplements to heal the body and ultimately get rid of symptoms definitely requires a different way of thinking as compared to the traditional medical model which most people are used to. Many clients trying a natural approach to heal their physical ailments aren’t even sure themselves if it’s going to work, let alone convincing their family members. Well trust me, I’ve been doing this a long time, almost 10 years, and it really does work! I’ve seen many clients get their health and their life back. I am very happy for them! It does require some work and perseverance. The best way to manage the concerns of friends and family is to tell them you have researched what you are doing and you would like to give it a chance. Ask them for their support while you try it out, even though they don’t necessarily approve of your decision. The greatest concern for friends and family is not the healthy diet, of course. They have concerns about using supplements. Will they work? Will they cause adverse reactions? Will I need to go off my medications? These are all good questions. Supplements encourage the body to heal. Whole food, herbal supplements, and homeopathies give the body the tools necessary for true healing. When a body gets into a chronic state of distress, it needs more than just a healthy diet and water to heal. While these are both beneficial to healing, they are often times not enough. Nutritional supplements allow the body to extract toxins or stressors, and also encourage the organs to heal and communicate with each other. When organs are communicating and working efficiently, we start to see symptoms disappear; clients will have more energy and sleep better, and are happier overall. 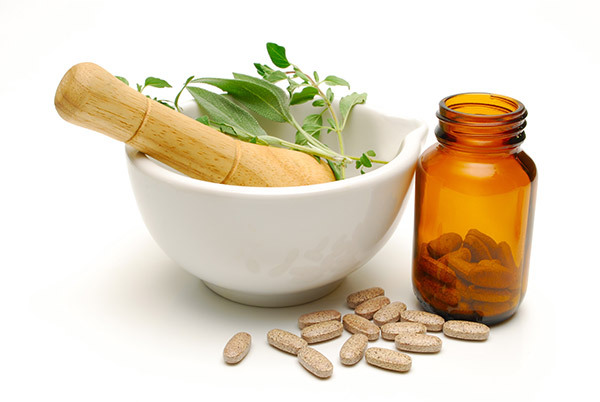 Healing through natural means by changing to a healthy diet and taking specific whole food or herbal nutritional supplements is not harmful when under the care of trained professionals. Clients can sometimes have healing symptoms along the way, which means change is happening. Many times these symptoms can be prevented. If they do in fact happen, there are steps that can be taken to get the person through the symptom faster and more efficiently. We would never ask a client to go off their medications. We are not doctors. We do not diagnose, treat, or prescribe medications. Therefore, we cannot tell you to stop taking them. Oftentimes, clients will have a desire to get off medications. In that case, we ask them to contact their doctor about how they should go about doing that and if their body is well enough to do so. Many clients that come to the Well of Life Center have tried everything under the sun to get rid of their symptoms, with no success. I was definitely one of those people when I came to the Well of Life almost ten years ago. I had tried the medical route as well as other holistic centers. I was out of options and figured I had nothing to lose. Many clients choose the Well of Life because they are out of options, like I was, or simply because they prefer not to take medications and want to take an alternate approach. I have had clients tell me that their husband will allow them to try the Well of Life’s healing options with the agreement that they have only a certain time period to try it; for example, six months. We can do a good amount of healing in six months! Someone who has more issues would take somewhat longer. When I first starting coming to the Well of Life, my husband wasn’t thrilled about the expense; however, he was just hoping that I would get better. He didn’t necessarily believe that it could work, but he was willing to take the chance, because he wanted me to stop suffering. Thank God he was supportive through my healing! It helped tremendously to have his support, because I definitely wasn’t feeling well to begin with, and didn’t need another source of stress. Clients that are dedicated to the program will almost always see significant improvements. You can find testimonies of both clients and employees on our website. Not only do the clients feel better, but their families do as well, because they are relieved that their family member is not in distress anymore. Also, they have been incorporating many of the same foods and healthy lifestyle changes and are feeling great as well! Felicia Pasquale is an Associate Clinician at the Well of Life Center for Natural Health. The Well of Life Center is a holistic wellness center that specializes in nutrition, chiropractic, massage services, and more. Celebrating their 10th year in business, the Well of Life Center has locations in Doylestown, Bethlehem, and Ottsville, PA. For more information, please visit welloflifecenter.com.